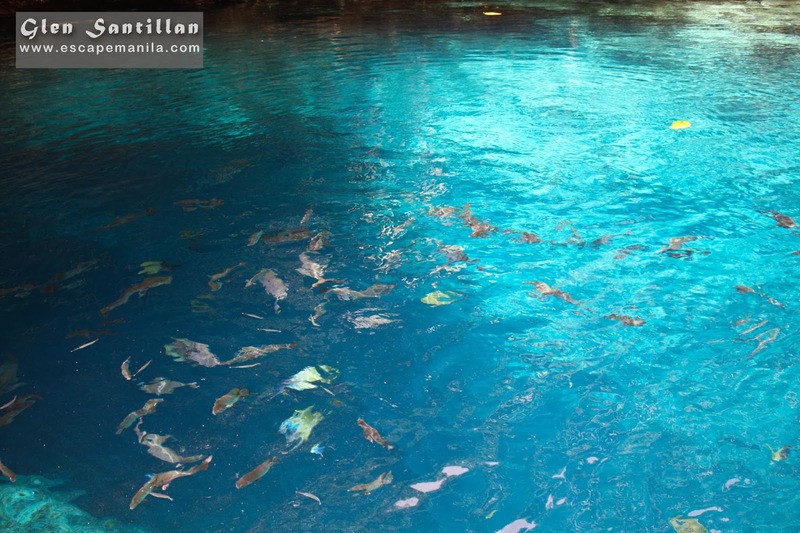 One of Mindanao’s most visited tourist attractions, Surigao’s Enchanted River continues to mesmerize visitors by it’s magical deep blue water. 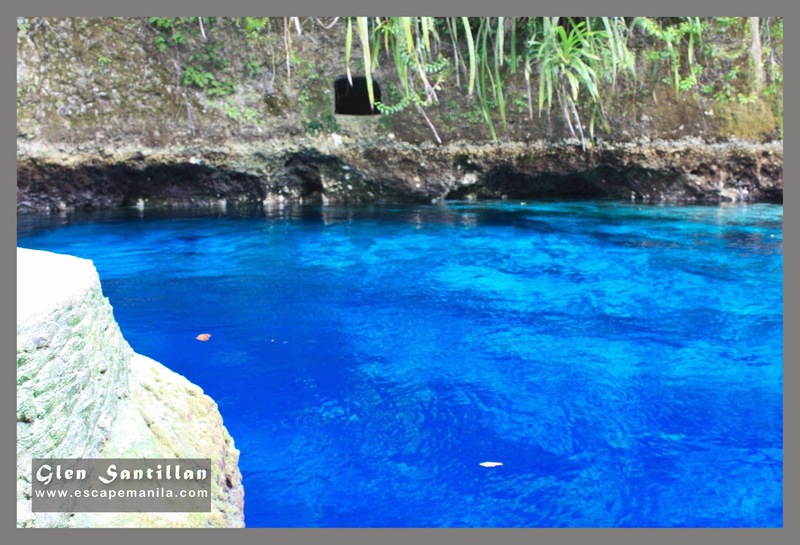 It is located in Barangay Talisay, Hinatuan, Surigao del Sur about 30 minutes away from the town proper. 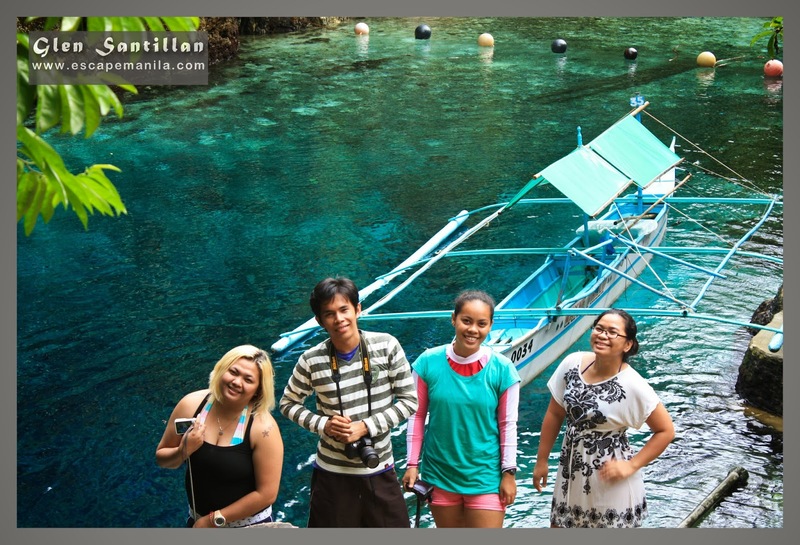 The Hinatuan Enchanted River is probably included in everyone’s bucket list. Despite the developments and the influx of tourists, it continues to attract visitors from all over the Philippines and the world. There is something mystical in the river. It’s natural appearance is just so enchanting. When you’re at the river, it will entice you to swim and dip in its water. The brackish water is refreshing and the presence of different colorful type of fishes is just awesome. We were very early when we went to see the Enchanted River. The province of Surigao del Sur was on a typhoon signal so it was raining when we left Bislg City. People were probably hesitant to go out because of the storm but it did not stop us. 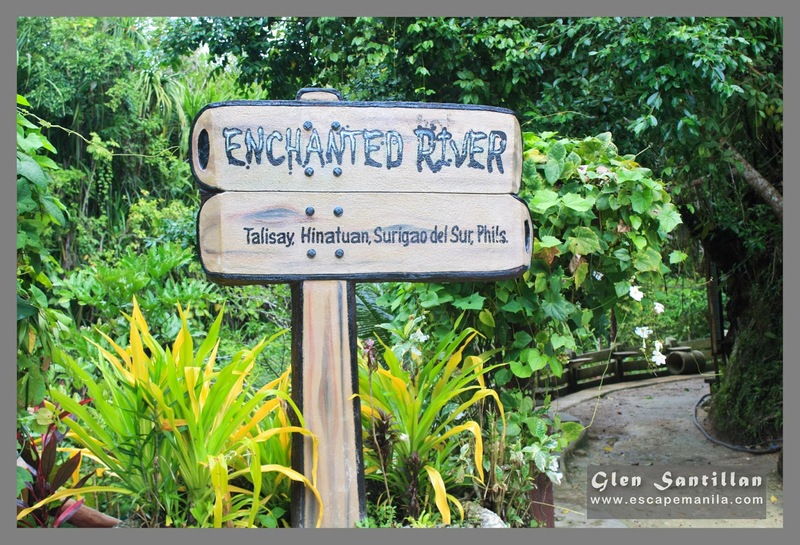 We were lucky as we were the first guests who arrived at Enchanted River. It was very solemn. The water was calm and it was just amazing. We stayed for a couple of hours and we left after the feeding time of the fishes at 12 noon. Hinatuan is one of the cleanest place I’ve been to in the Philippines. I pretty much traveled to hundreds of towns in the country and I salute the government of Hinatuan for their very effective campaign for waste management. They have banned using plastics so you will rarely see any plastics on the road and streets. Hinatuan also has a strategic plan in case of emergency. It’s a coastal town and it faces the Pacific ocean so the town is prone to tsunami and typhoon. They manage to develop a plan for escape in case a tsunami or a typhoon hits the town. The signage where to go during tsunami is all over the town so the residents know exactly where to go and what to do. Kudos to the officials of Hinatuan! 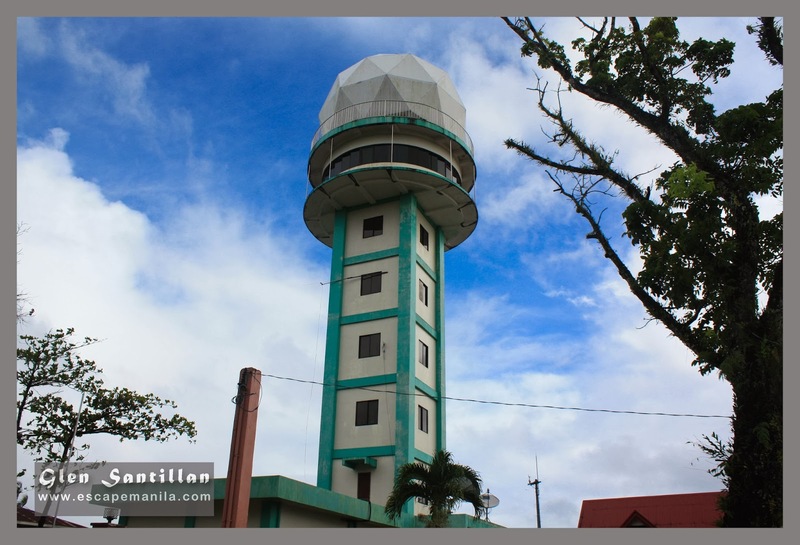 In the town proper, you may visit the PAGASA Doppler Station and Saint Augustine Parish. 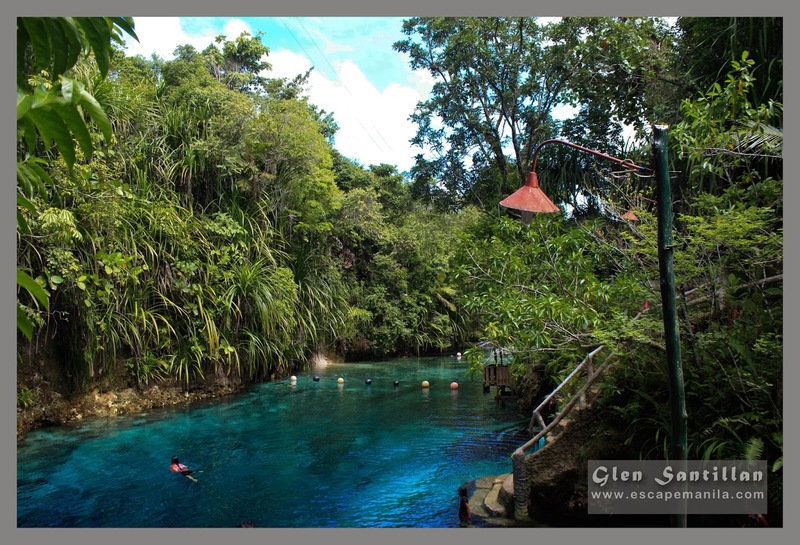 Tips: You must visit Enchanted River early in the morning to avoid the crowd. Expect a lot of visitors during weekend. As much as possible go in group and rent a van going there to reduce the cost of travel. Renting a habal-habal is possible but the river is quite far from the town and the road is rough. The nearest commercial airport from Hinatuan is in Butuan City. So, if you are coming from Manila book a flight to Butuan City. You may also book a ticket to Surigao City and Davao City but the travel time will be longer. You may take a bus or van from Butuan Integrated bus terminal going to Mangagoy. Inform the driver to drop you at Hinatuan Bus Terminal. Fare for non-airconditioned bus is about P200 and travel time is around 4-5 hours. If you want a little comfort, you may take an airconditioned bus from Butuan going to Davao/Tandag and alight at San Francisco (San Franz) bus terminal. Fare is P125/P110 for aircon/non-air and travel time is around 2 hours. Take another bus going to Mangagoy that will pass through Hinatuan. Travel time is around 2 hours. Coming from Surigao City is a little bit tricky. There are no direct buses from Surigao to Hinatuan. You can either take a bus to Butuan which is about 2 hours or take a bus to Tandag for about 5 hours. 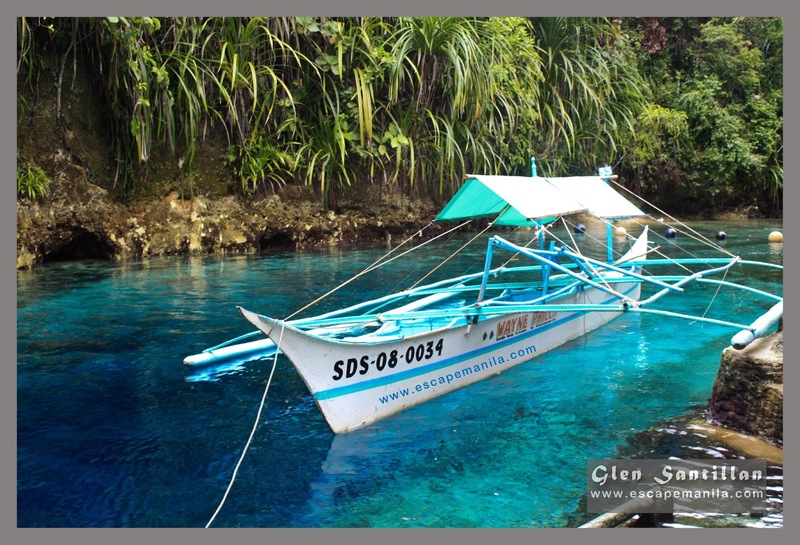 This route is ideal for those people coming from a trip in Sohoton or Bucas Grande. From Tandag, you can take a bus going to San Franz for another 2 hours and alight at Barobo Bus terminal. From there, take another bus to Mangagoy and tell the driver to drop you in Hinatuan. There are two options in going to Hinatuan from Davao City. Either you take a van/bus to Butuan and alight at San Franz Bus Terminal for about 4-5 hours or take a van/bus going to Mangagoy for about the same travel time. Take note that the buses and vans going to Mangagoy from Davao are not passing Hinatuan as it will use Cuevas road. From Mangagoy take a bus going to Butuan and alight at Hinatuan Bus Terminal. It will take a little over an hour. 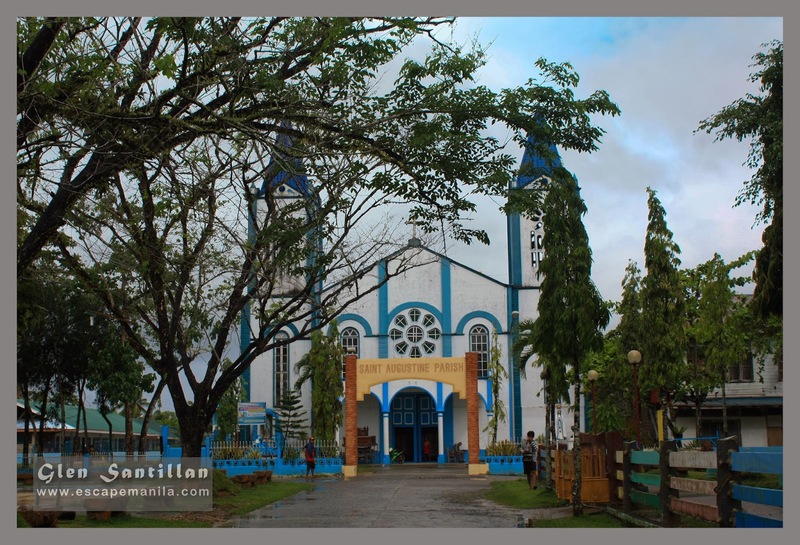 Read my Hinatuan and Bislig TRAVEL GUIDE to know more where to stay, eat and other things to do.